The end result of conserving peel in syrup is a fragrant, tender preserve that you can use in cooking, cough remedies, or for eating directly. If you use the juice of bitter orange for cooking, it’s a shame to waste all the peel, because the zest of the bitter orange has a clean, intense flavour that most sweet oranges can’t match. You can almost easily eliminate the bitterness of the pith, if you like, by soaking the peel in several changes of water. This is one of the most useful recipes we’ve come across, and it gets used all the time, for things like quiche, hand pies, steak pie, and cheddar and onion pie. 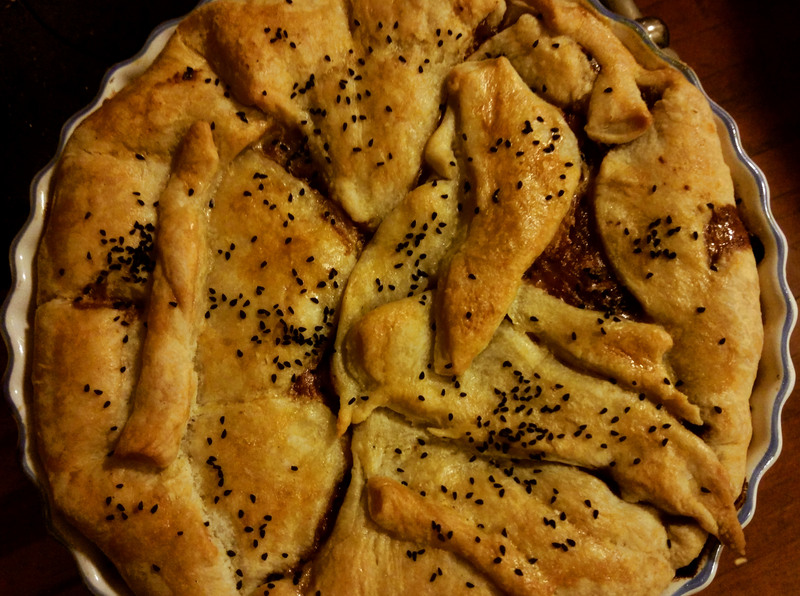 It produces a robust, buttery crust with big flakes. 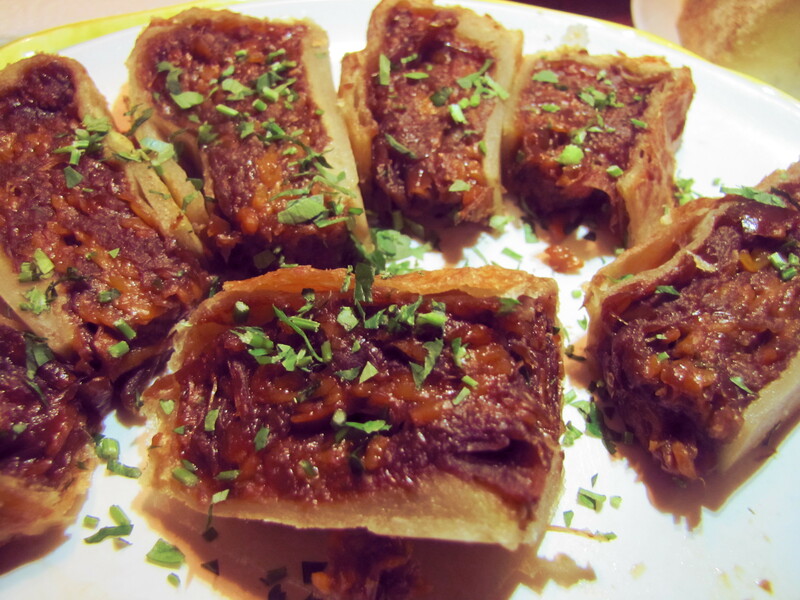 Exactly what you want for a savory pie. One of the best things about this pastry is how beautiful it looks when it’s been mangled a bit — you can overlap pieces, and patch holes with scraps, and it looks even better. Allspice (the dried berry of Pimenta dioica) is sometimes known as pimento, or pimenton, or pimienta dulce (in Spanish). It’s one of the constellation of “sweet spices” — like cinnamon, ginger, nutmeg and cloves — that people in North America typically associate with dessert. But it’s more often used with meat, and other savory food elsewhere. 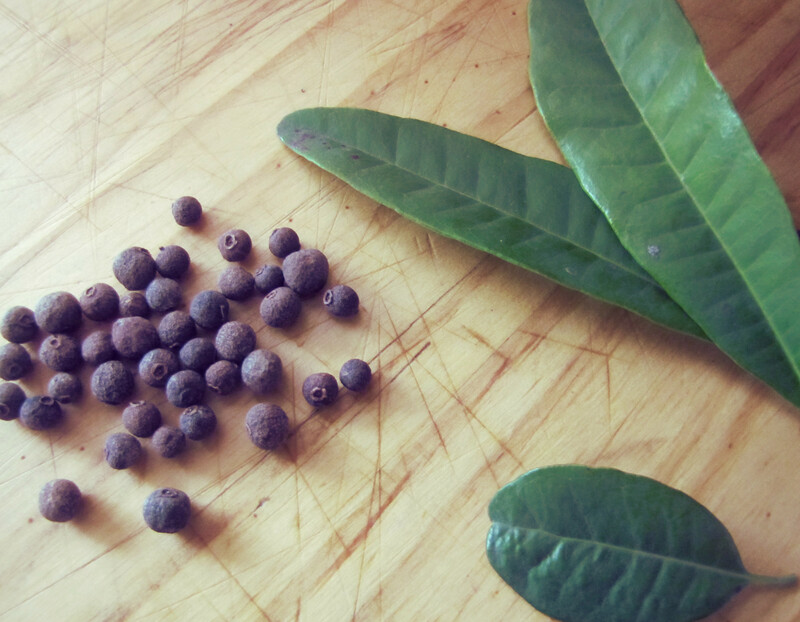 Allspice is native to Central America and the Caribbean, and so it’s common in foods like Jamaican jerk (which is meant to be grilled over a fire of allspice wood). 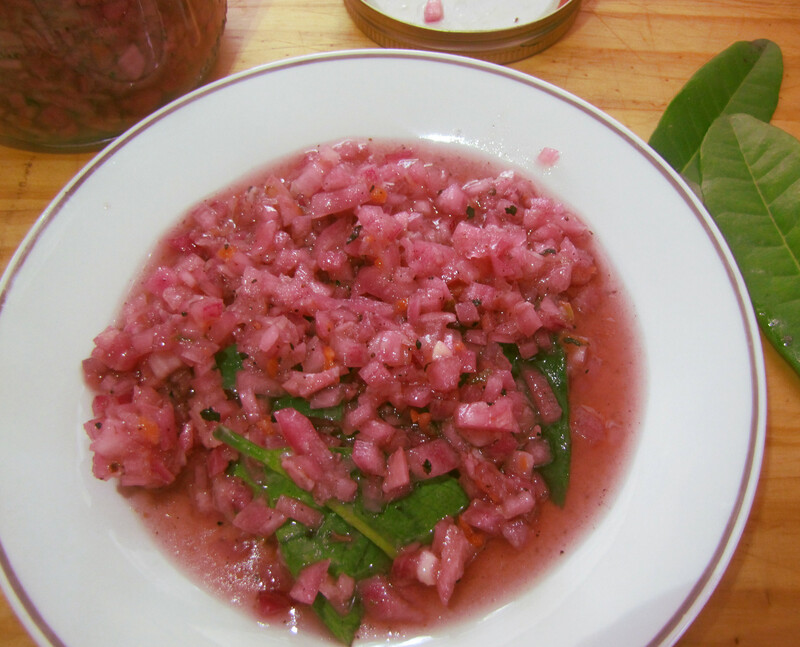 Everything in Yucatan is served with this simple salsa. It’s usually made with green habaneros (the orange one is apparently “totally different”). It’s great with al pastor, and cochinita pibil. 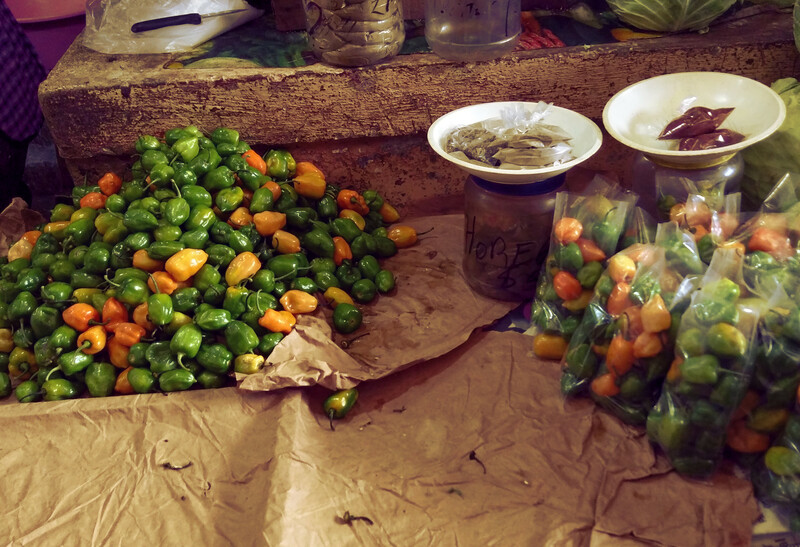 Habanero chilis are typically green to orange, with a sharp, fruity smell and an intense heat. They are the typical chili in Caribbean and Yucatanian cuisine, as well as Nigerian and Camaroonian. They work very well with tropical and fruity flavours, such as pineapple, lime, and bitter orange. Because they are so intensely spicy, however, you must exercise extra caution when working with them. When we were first experimenting with cochinita pibil, we found a recipe including this salsa of pickled purple onion, and we loved it. 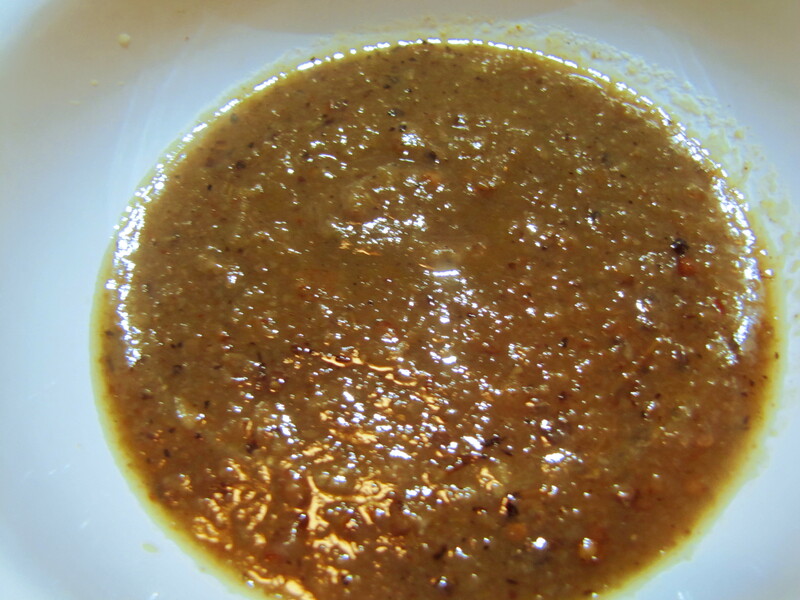 The simpler recipe of blanched onions in bitter orange juice seems to be more typical in Yucatan. But vinagreta de cebolla is still our favourite. Spicy, and slightly smoky from the charred habaneros; with the aroma of allspice and oregano. It’s quintessentially Caribbean, and ideal for pulled pork. 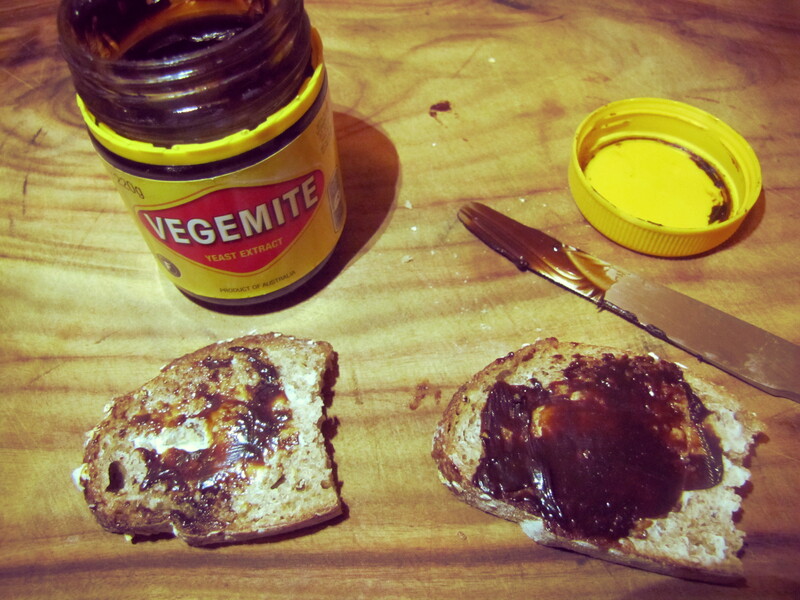 It’s so good, we find ourselves eating it by the spoonful. Achiote is a condiment used in Southern Mexico, around the Caribbean, and through South America. It has an earthy, slightly spicy aroma but is mainly used for its brilliant red color — often now substituting for the historically common carmine, or cochineal, which people sometimes don’t like because it’s made with squished insects. 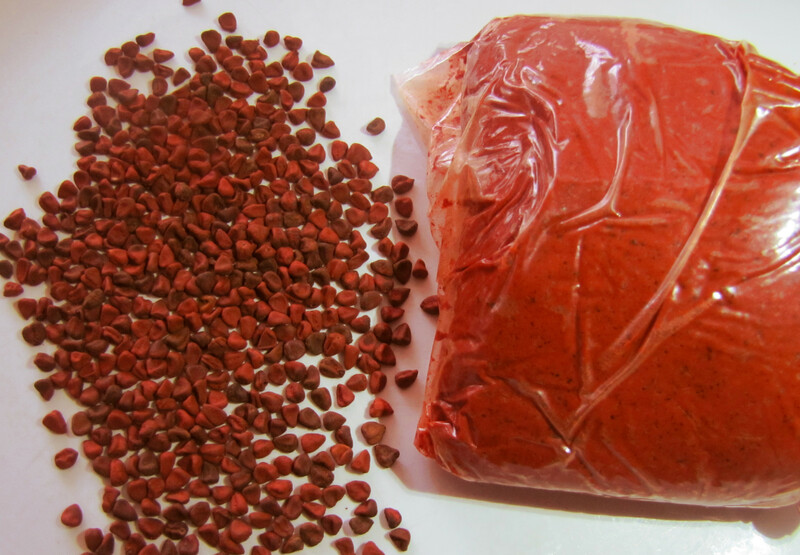 Achiote is made from the seed of the annatto tree (Bixa orrellana). The seeds, and the prepared paste, are pretty readily available in Latin markets. It’s an essential ingredient in dishes such as al pastor, anticuchos, and cochinita pibil. Bitter, or Seville oranges are too sour and bitter to eat as a fruit. But they’re important ingredients in many foods. 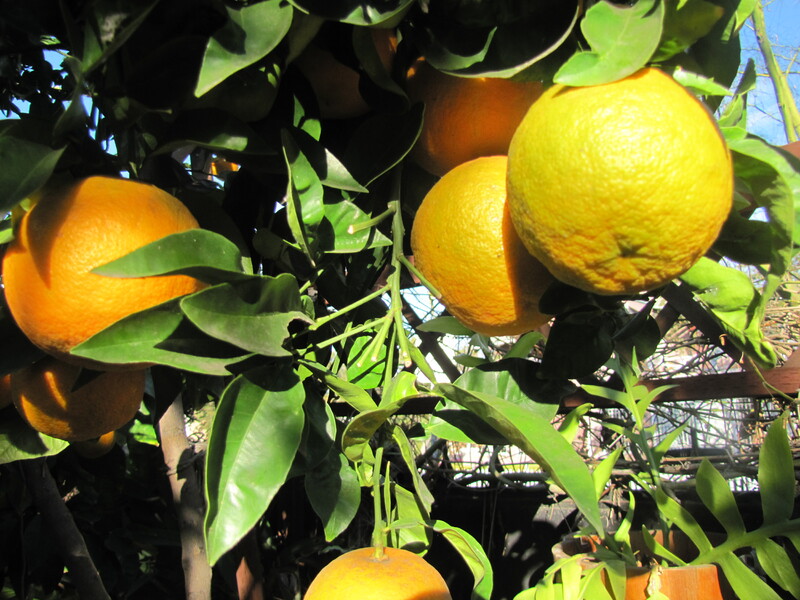 Traditional marmalade is made with these oranges, as is orange blossom water. The rind has a cleaner, more intense aroma than sweet oranges, so it’s traditionally been used for liqueurs, such as Grand Marnier and Triple Sec; as well as for sweets. 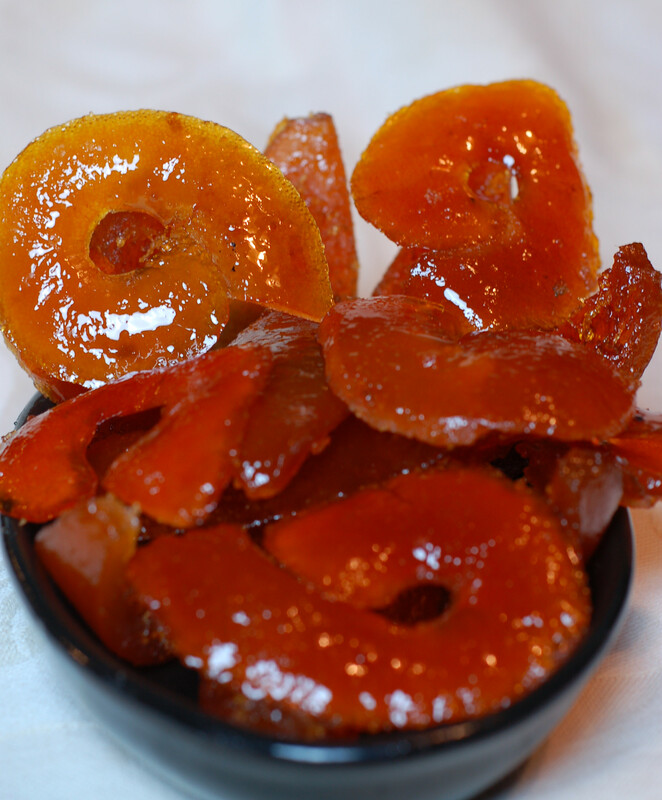 You can substitute regular orange rind, but use the Seville zest when you can. In Iran and southern Mexico, they use fresh bitter orange juice in the same way as you would use lemon or lime juice.